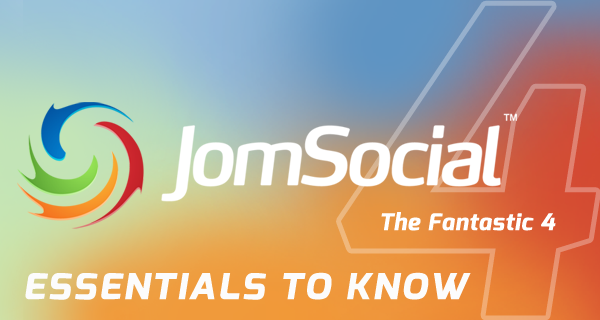 This isn’t the final version of JomSocial 4. It’s a beta, so don’t use it on your live site. Test it, play with it, break it if you can, but do it on a staging site so that you don’t make your users sad. To upgrade from a previous version, first upgrade to the latest stable version, 3.2.1.6, then do a tier upgrade. You can also use our iJoomla Installer to upgrade to 3.2.1.6. As long as JomSocial 4 is in beta, the iJoomla Installer will only upgrade to the latest stable release. Once you have the latest version installed, install this new version on top of the current one without uninstalling 3.2.1.6 first. This will prevent issues with the toolbar menu items. If, for some reason, you do have to uninstall first, you’ll need to open each of the toolbar menu items and re-save them. Otherwise they won’t work properly. Yeah, we don’t like it either but it’s a Joomla thing. Just install on top of 3.2.1.6. You can use these new options to add modules to the front page in addition to the positions you’re already using. Read more about module positions for JomSocial here. Control the colors of every element on JomSocial, including toolbar, buttons, share box and modules, etc. Add profile information to the profile cover. Style avatars, and much more! To read more about the features of Theme Designer, click here. If you wish to upgrade from Standard to Pro, please visit your account page and click the “Upgrade” button. It will only cost you $50, so that’s practically a steal. Google has released a new version of ReCaptcha, called NoCaptcha. It’s really cool and effective, and much better than squinting at a bunch of blurry letters. We’ve replaced our own ReCaptcha with the new one. You’ll still get to dodge the spammers but with a lot less frustration. You’ll have to enter the new API information into NoCaptcha. As soon as you upgrade, the old API information you’ve entered will be gone. Please visit the NoCaptcha page and grab your new API code, then go to JomSocial Backend -> Integrations -> NoCaptcha and enter the new information. The new videos page has much larger thumbnails. That should improve your views but it does mean that all the thumbnails added before this version will look pixelated. You will need to re-fetch those thumbnails, which is also a good opportunity to clean up your library and remove dead links. To help you, we’ve created a special tool that will let you fetch all your thumbnails at once. A pop-up report will show successful and failed fetches. If a video fails, it’s usually because it’s no longer available on the hosting site. If an avatar on an old profile wasn’t properly cropped, it could look a bit egg-shaped. We’re working on a tool that will allow you to mass crop avatars in a 1:1 ratio. It will be ready before the stable release. Some template providers have created templates for JomSocial, but since we removed Bootstrap and built JomSocial’s style sheets from scratch for this version, those templates are unlikely to work with JomSocial 4. The good news is that you won’t need them. Theme Designer will let you customize your template almost any way you want. 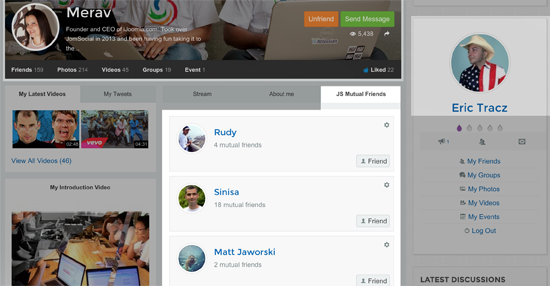 The new template will automatically become the default but you will need to save the JomSocial menu items one by one. Install JomSocial on top of the current installation. Manually change the default template to the new one by going to JomSocial -> Configuration -> Templates. 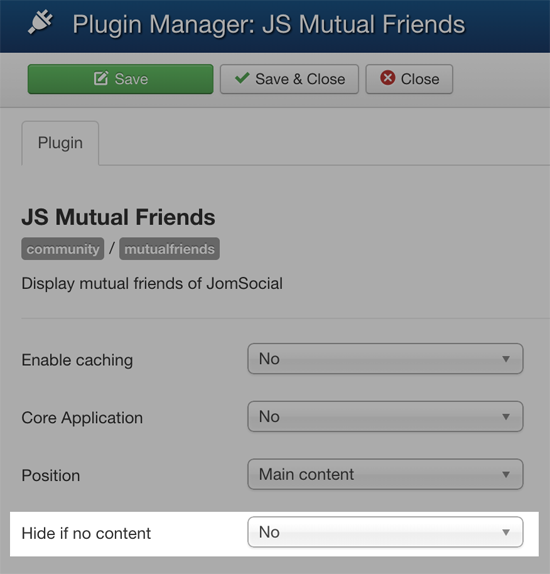 Select “JomSocial” and click the “Default” button. Empty apps on profiles were always a bit out of place. If someone wasn’t attending an event, for example, the app box would still show but it would just fill space and not tell us anything. Now you can choose to hide those empty apps. Simply open the app, and change the field marked “Hide if no content” from “No” to “Yes.” Easy. Photos and videos now open in a modal window — just like on Facebook. This was a big request and it works great. We’ve implemented limited support for Embed.ly so you can now fetch data faster from over two hundred popular social and sharing sites. The implementation of this feature is only passive though. It helps JomSocial to gather and fetch data quickly rather than trying to display it in the fancy boxes that Embed.ly provide. Embed.ly is free for up to 5,000 URLs a month. Check out their full pricing here. We’ve also added some new user point rules to this release. 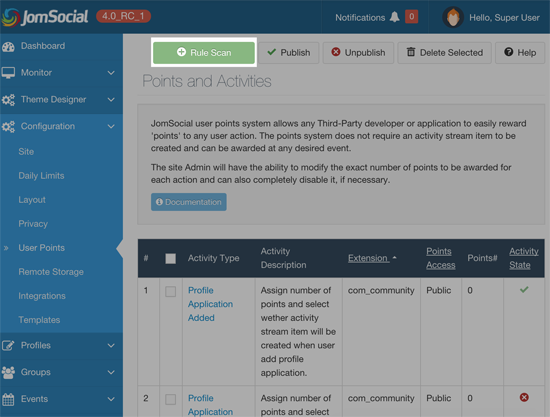 To initialize these new rules, go to JomSocial Backend -> Configuration -> User Points, and click on the “Scan rules” button.